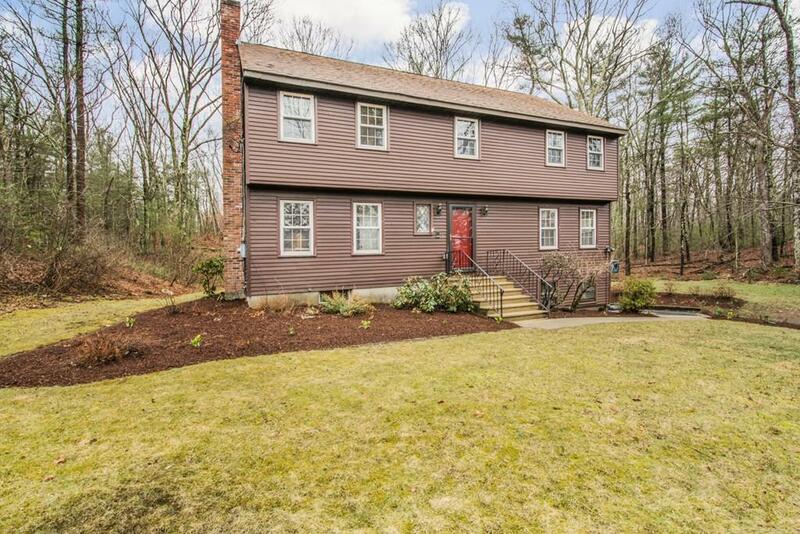 Nestled on 1.5 acres of land sits this garrison colonial with 3 levels of living! The entire interior has just been painted with neutral colors and white trim throughout. Beautiful hardwood flooring on the 1rst floor. The family room boasts a pellet stove. A cabinet packed kitchen with a peninsula and storage galore! Upstairs you will find all new carpeting throughout the second floor which has been freshly painted & all the doors have been replaced. The spacious master suite has a walk-in closet & a master bath with a new vanity and granite counters! Down the hall 2 more generous size bedrooms & another bedroom with built-in book cases which could be a perfect home office space. The full bath has also been updated with a new vanity with granite counters! If more space is what you desire the 3rd floor has been finished and offers more room to enjoy. A new vinyl deck overlooks your large private backyard with tons of land to explore the outdoors which back up to conservation!